The Silence Breakers were named Person of the Year last December by Time magazine thus solidifying the #MeToo movement, which began after a series of revelations regarding harassment and abuse towards women by men in powerful positions. This nefarious behavior has also touched the highest echelons of the New York City Ballet, with the retirement of Ballet Master in Chief Peter Martins after allegations were made regarding physical, verbal and sexual abuse. Martins ran City ballet with no apparent oversight. For decades, the rumors of his total control over the dancers were met with static silence from those in position to act upon it. Balanchine famously said ‘ballet is a woman,” and it is women who are coming forward to say no more. Marissa Alma Nick never intended to form a dance company in Miami, where she was born and raised. Her vision led her more towards Europe or Australia where contemporary dance is flourishing. Yet, Miami is home to Nick and this is where she established her company in 2014, naming it Alma after her great-grandmother Alma Deila. Alma – soul in Spanish. 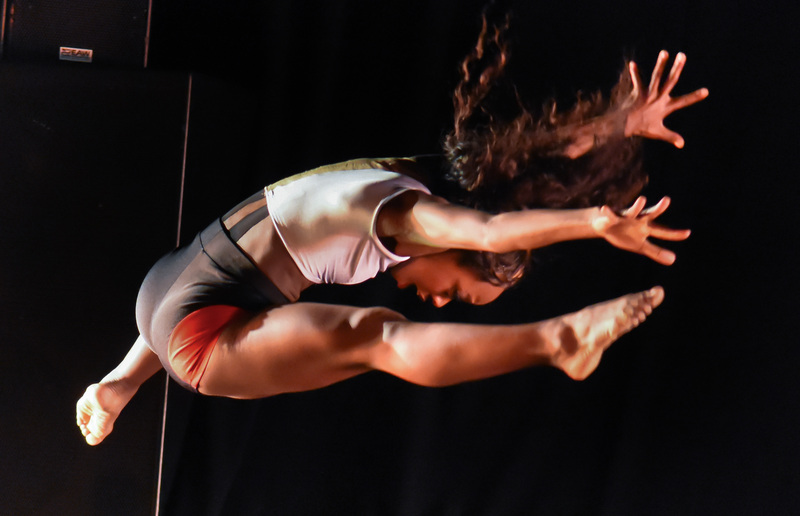 Dance troupes are abound in Miami – there is a creative energy here, a certain excitement for the next dance performance, theater production or gallery opening. There is a sense that something is happening here, artistic foundations laid in the 1980’s are now bearing fruit in the form of cultural and artistic growth and quality. It is not surprising that many artists are making Miami their home. Nick, a graduate of New World School of the Arts – one of the artistic foundations established in the 1980’s – moved away for a period of years before returning and forming her company. The troupe is not only located in Miami, but it also interacts with the environment, performing many site-specific pieces. “Mira El Mar” Nick’s 2016 work dealing with climate change, took place on the beach and projected the audience 75 years in the future, where two women struggle to survive in a new and changed environment. Her site-specific choreography offers a fresh interpretation of our environment and our relationship to it. Nick’s choreography spans a wide spectrum of topics ranging from an Edgar Allan Poe poem to dementia and Alzheimer’s. Cask takes it inspiration from Poe”s short story “The Cask of Amontillado”, whose central theme is revenge. In her choreography, Nick examines the relationship between victim and abuser. Each performance is different, thus ensuring that each performance is new and each performance is ephemeral – much like dance itself. Flowers hits closer to home for Nick, dealing as it does with dementia and Alzheimer’s – a disease which inflicted her grandmother and great-grandmother. Flowers becomes a bonding agent for two women who are dealing with aging and dying while fighting dementia and Alzheimer’s. Memories are as real as the present. They struggled to go gently into the night. Flowers was a winner of a 2017 Knight Arts Challenge Award. Nick’s electric choreography has produced some of the most poignant pieces shown in Miami in the last few years. This month the all female company is performing Flowers at City Center in New York City.